What Type of Paint Should I Use for my Roof? How to Prepare your Roof for Each Season	What Is Involved in the Insulation of a Commercial Roof? 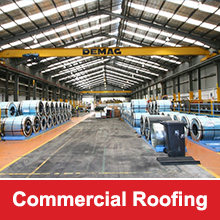 Metal roofing has rapidly grown in popularity in recent years for both commercial and residential properties. Given the durability and longevity that metal roofing offers over other roofing materials, it is easy to see why so many property owners are not opting for this material. While metal roofing does not require much maintenance, if you wish to paint your roof, it is important to understand a bit about the proper type of paint to use. In choosing the type of paint that will be used on a metal roof, it is important to understand that not just any type of paint is appropriate. The roof of your home or commercial property withstands a significant amount of wear and tear, including UV radiation. 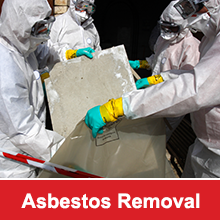 As a result, it can become susceptible to fading and rusting over time. The proper type of roof paint will ensure that your roof will look beautiful for a long time to come. Metal roofing often requires paint that offers a high degree of elasticity. This is because metal roofing is prone to stretching and contracting. Traditional household paints simply are not appropriate for a metal roof because they are not elastic enough. As the metal panels of the roof stretch and contract based on thermal expansion, traditional household paint will typically become brittle and crack over time. Peeling usually ensues shortly thereafter. Only paints that are specifically designed for metal roofs should be used. If the paint does not indicate that it is appropriate for metaling roofing directly on the label, it is best to skip it. Along with ensuring that the paint you choose is manufactured especially for metal roofing, it is also important to ensure that the primer and top coat are also manufactured for use on metal roofing. A water-based acrylic paint that is elastomeric is usually the best choice for use on a metal roof. In addition to preventing cracking and peeling, this type of paint is also fairly easy to clean up in the event of a problem. It also happens to be more environmentally friendly. Oil-based paints are also available and were frequently used in historical projects, but they can be difficult to clean up in the event of an accident. In addition to considering the paint’s resistance level to peeling and cracking, you also need to consider how long the paint is projected to last. A quality metal roof paint will typically last up to twelve years, provided that it is applied according to the manufacturer’s directions. If you do not feel comfortable with painting the roof on your property or if you have questions regarding the right type of paint to use, do not hesitate to contact an experienced roofing contractor. The roof on your home or commercial building comprises a significant percentage of the investment you have in your property. Selecting the right roof paint can ensure that your roof not only looks great well into the future but also hold up for a long time to come, as well.